Grab Bar Deluxe Bathtub Fits Snugly To Side Of Bath. 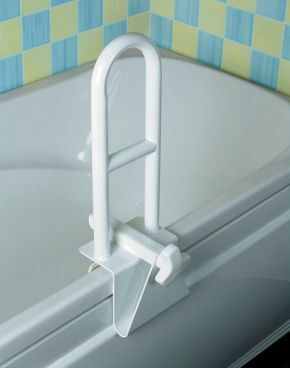 This grab rail attaches to the side of your bath to help with getting into and out of your bath. Clamp width adjustment to fit snugly to the side of the bath.